The weather forecast didn’t look so promising this morning and sadly, it was accurate with almost a complete wash-out. By the time play was cancelled at 5pm, it was absolutely bucketing it down! There was a little bit of play this morning – I was on Court 1 for the the number two seed and Roland Garros finalist, Simona Halep who was playing her first ever match in Eastbourne against Duan Ying-Ying. Darren Cahill was present courtside and I heard a “come on, Simo” juts before the match began. Duan made a fast start to the match and immediately broke Halep’s serve to go up 2-0 with some crunching winners. Halep did manage to break straight back before the rain came. Duan was not best pleased when the umpire, Mariana Alves, overruled on back-to-back points, correcting the same line judge who had twice called Halep’s shots long of the baseline. Early signs were that Halep was in for a tough opener against a player who has already had three matches on the grass courts of Devonshire Park this week. A preview is up on the blog for the second round match between Caroline Wozniacki and Naomi Osaka – who you got? Also, a poll for Muguruza-Strycova. Wednesday’s schedule is MAD… what a day for a ground pass! #AegonInternational #Eastbourne order of play for Wednesday and what a day of tennis we have in store! As i’ve been solely focused on Eastbourne for the past few days, today has given me a chance to catch up on a few tennis happenings from the weekend. From Birmingham, what a moment to see Petra Kvitova win the title and a lovely moment at the net with Ash Barty. And all the way back to that superb quarter-final between Lucie Safarova and Daria Gavrilova, and THAT point in the third set tiebreak. A great effort from both women. Anastasija Sevastova beat Julia Goerges in last week’s Mallorca final. And an insane point from Sevastova during the final. In Eastbourne, Heather Watson is having a fab week and yesterday, took out the defending champion, Dominika Cibulkova in straight sets. The Brit gets Pavlyuchenkova in the third round, which could be an interesting one. Jelena Ostapenko won her first match since Roland Garros with a 6-3 0-6 6-4 win over Carla Suárez Navarro. Konta or Cirstea is up next in the third round. For those interested, I am updating my Instagram page with tennis pics. I’ll return to baking again post-Wimbledon! Day albums from Eastbourne are up on the Moo’s Tennis Blog Facebook page. You can catch up with all my posts from Eastbourne, this year and previous years, at the link below. Hopefully Wednesday’s weather will be kinder and i’ll have to plenty to share with you all. And finally, Roger Federer and Belinda Bencic have already been confirmed for next year’s Hopman Cup in Perth. I was really hoping the pair would play again and i’m excited because I am planning to be at the tournament next year as i’ll be in Australia on holiday for the first two and a half weeks of 2018! June 27, 2017 in Eastbourne, Set Points, Tournament Report, WTA. 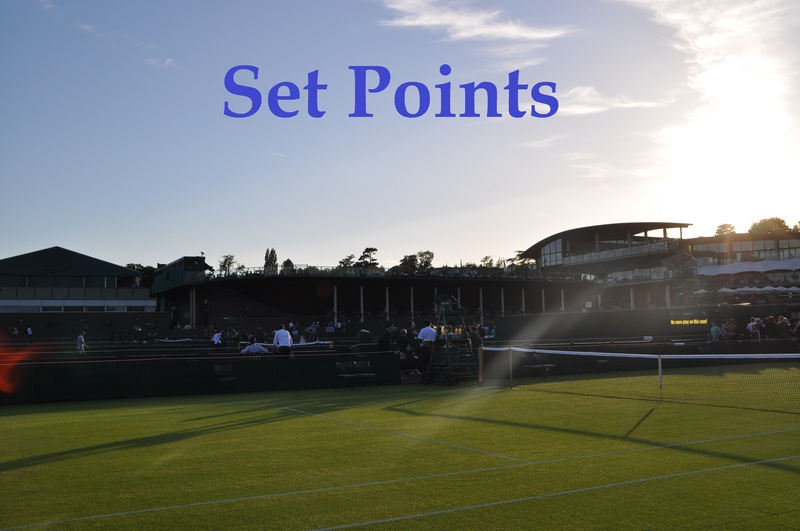 Were those points which chair umpire corrected actually long or not! Good question ha! Both me and the guy sat next to me thought one was in and one was out. Is Sharapova still in wimbledon qualies ? Trying to catch up on tennis news, thanks. No, Maria pulled out a while back with the injury from Rome. She’s back in Stanford with a WC. Watching Pavlyuchenkova live in person, does she appear to be as fat as she is in your photo? Indeed. We *could* get Radwanska-Muguruza & Kuznetsova-Mladenovic on Court 5! All the R3 matches could be played at the same time later tonight. I’m expecting to see some odd results through the day.